Spring practice is nearly halfway over, which means that it’s pretty much almost football season again. And with the season approaching with each passing day, the Oregon football team is preparing to defend its Pac-12 title and possibly make another run at a College Football Playoff berth. But in order to accomplish such lofty goals, a team must not only deal with the changes that occur from year to year in college football but also make some minor changes to philosophy and focus. 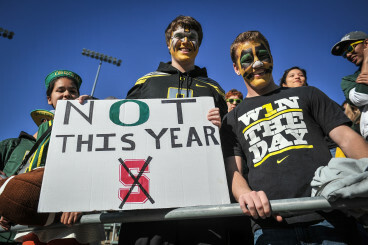 Oregon was able to finally beat Stanford in 2014. Luckily for the Ducks, adapting to change is something at which the program excels. For example, last offseason Oregon focused on getting bigger and more physical; no easy task for a team as fast as the Ducks. But the results from the offseason weight program were astonishing, and the improved physicality was evident when the season began. The critics, whose claims “can’t play against physical teams,” were silenced by our beating Michigan State, and finally solving the Stanford problem before falling to the red hot Ohio State Buckeyes in the national title game. So where does that leave Oregon for this upcoming year? And what do the Ducks do to get better in 2015? Well, according to Alex Balducci, the front seven will be focusing on getting more pressure on the opposing quarterback. “We’re working on dialing up more pressure, kinda some different looks in that regard,” Balducci said in an interview with FishDuck.com‘s Jordan Ingram yesterday. 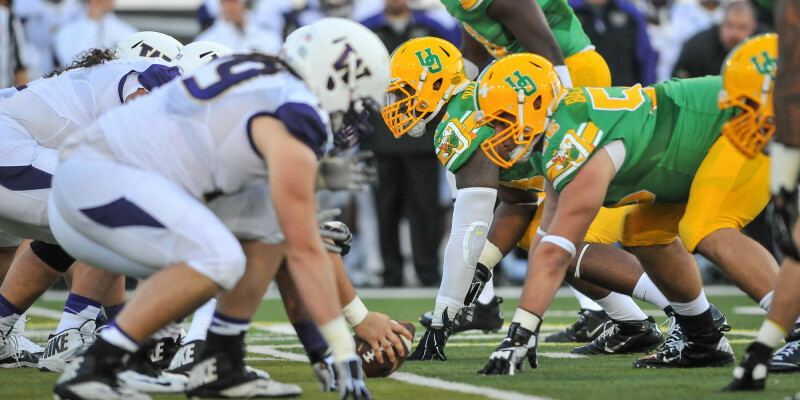 Getting more consistent pressure on the quarterback would be extremely helpful for the Oregon defense. Due to their bend-don’t-break philosophy, the Ducks give up yardage but rely on timely turnovers to get the ball back to the offense. Last season, the Ducks ranked No. 87 in yards allowed per game and No. 30 in defensive sacks. But, as mentioned, where Oregon has excelled defensively the last two seasons was in the turnover margin. Their +21 and +23 was the best in the nation in 2013 and 2014 respectively. Increasing the pressure on the offense not only should result in more sacks, but will also put the offense in tougher situations to convert consistent first downs and rely less on turnovers. Also, even if the pressure doesn’t reach the quarterback, it can still disrupt what the opposing offense is trying to do. If the Ducks can be successful in that regard, they should give up less yardage per game and be an improved defensive unit overall. The country knows how dangerous the Duck offense is, but not a lot of people realize just how effective the defense is. With a focus on increasing the pressure for the upcoming season, Oregon might have more than a bend-don’t-break defense in 2015. The defense could just be very good.